Learn the dynamic Martial Art of kickboxing in a safe, friendly and fun environment that can help you to achieve your goals and learn a valuable new skill. We have regular beginner groups every Tuesday so that people can work at their own speed and progress to the next stage in a fun, friendly enviourement. These sessions are dedicated to ladies. A great way to improve fitness, loose weight, improve flexibility and increase self confidence while keeping things in a comfortable ladies only social environment. There is no need to get fit before trying ladies kickboxing, Ladies kickboxing can help you get very fit and is a great place to start your fitness journey. 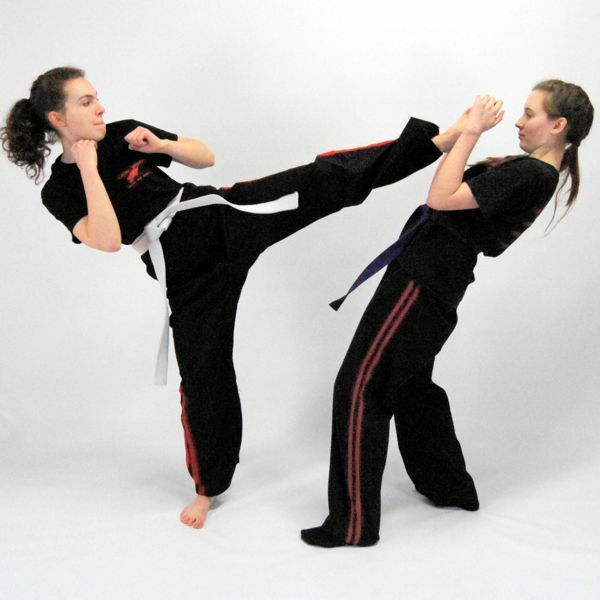 Ladies kickboxing is suitable for all ages from 14+ and abilities. We offer a FREE weeks trial of any of our classes.